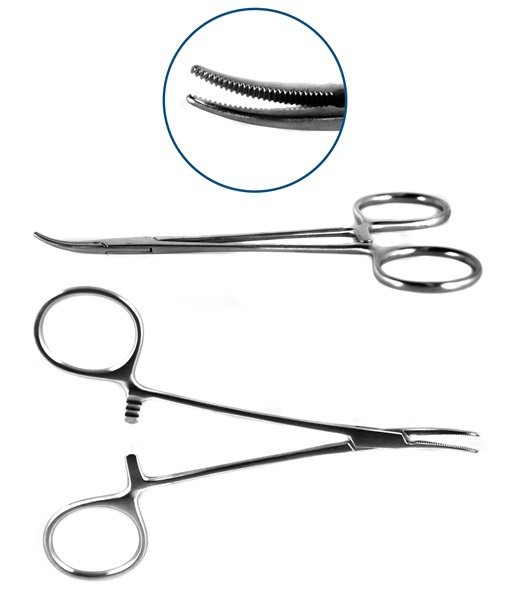 Stainless steel hemostatic forceps that are available with both straight and curved serrated jaws. All handles have a racket lock with ring handles and dull finish. Curved, 20mm serrated jaws. 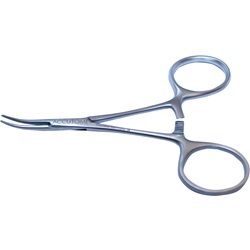 Overall length: 99mm. Straight, 22mm serrated jaws. 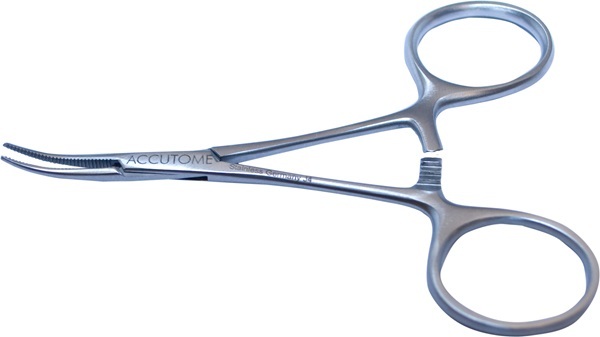 Overall length: 127mm. Curved, 22mm serrated jaws. Overall length: 99mm. Straight, 20mm serrated jaws. 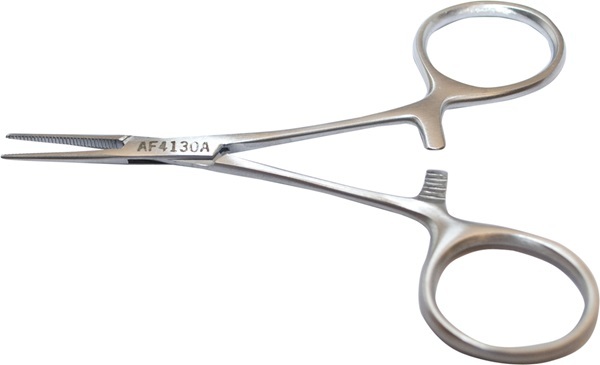 Overall length: 99mm.